Everybody dislikes acne scars, especially when they appear on the facial skin. They simply make a beautiful and glowing face dull and ugly. Acne scarring is preceded by acne; the disease which, after its treatment, leaves permanent signs on the affected skin areas in the form of unpleasant looking spots on one’s body. It is important to note that curing acne is simpler than its scars. In order to get rid of acne scars naturally, you need to work hard for a long time and wait until your skin gradually gets clear which is not the case with acne itself. But there are some home remedies which can bring better results in a very short span of time. All you need is to be consistent and patient during your struggle “Remember! Slow and steady wins the race”. Now if you are curious to know natural treatment measures, then below are some of the best and working home remedies where people use olive oil with some other elements to heal pimple scars. Remember! These are just the opinions of people who tried them, so confirm before applying any of these remedies as your skin may not be suitable for a particular remedy. Hence, before trying, taking the opinion of some dermatologist is recommended. 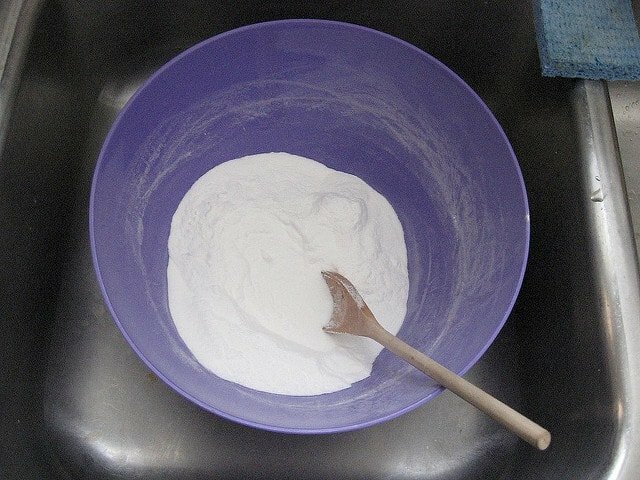 Make a mixture of 1 tsp of olive oil and the same amount of baking soda. After mixing them properly, just spread this paste into affected areas of your skin and again use your fingers in small circular motions to rub gently. Keep rubbing in this way for almost 2 to 3 minutes. Now it is the time to wipe your skin with wet and a warm washcloth to get your face cleared. Massage 1 tablespoon of olive oil on acne infected parts of your skin. Rub it moves your fingertips in a circular style. After massaging your skin, wait for 4 to 5 minutes. Now boil some water in a bowl such that steam begins to come out of it. Now cover your head with a towel (to get maximum steam) and lean over the bowl in such a way that your face is at a height of about 18 inches. Keep steaming your face in this way for 5 to 10 minutes, but not more than that. During this course keep wiping off excess oil and sweat with the towel. The use of olive oil with tea tree oil is also proven to be working to remove pimple scars or acne scarring. Tea tree oil helps to get rid of acne scars and also eliminates the chances of acne appearance in future. Take a small bowl and pour 3 drops of tea tree along with 5 drops of olive oil and then mix properly to make a perfect lotion. Take a cotton swab; dip into the mixture and apply it onto the areas of acne scarring and pimples on your skin. Hopefully, you will find these remedies effective in your struggle to cure pimple scars fast and naturally. If you found this article useful then share it with your friends. Previous 10 points success mantra in the New Year! Next Alzheimer’s Disease – What Might the Future Bring? Nice information regarding acne scars natural treatment. But it is always better to consult some skin specialist before applying any remedy.